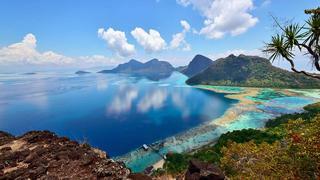 It may now be possible for more superyachts to visit Borneo because North Borneo, East Coast Borneo and the South Philippines have been declared “safe and peaceful”. A decision by the Lloyds Joint War Committee in December saw the areas of North Borneo, East Borneo and the South Philippines removed as War Listed Areas. As the region is no longer considered a “high risk area” it is now not necessary for vessels to acquire special permission from insurance underwriters to visit the region. Asia Pacific Superyachts Borneo has welcomed the change in regulations. “Vessels no longer need to seek special approval from insurance underwriters to enter, operate and stopover at any port listed in these areas,” said general manager Alvin Teh. “As well, they no longer must pay additional and costly premiums for this purpose. This news is also a strong statement in recognising these areas are considered safe and peaceful to visit and no longer pose a danger or are a high risk area, as in the past”. It is estimated that before the changes more than 80% of potential clients were put off visiting the region due to the insurance restrictions. However, it is now hoped that more superyachts will be attracted to Borneo which is home to some of the world’s best dives. “Not it’s time to visit ‘paradise’ in a safe and peaceful cruising heaven within the world coral triangle zone,” added Teh. If you are interested in visiting the region don’t miss our superyacht captain’s top tips for cruising in Borneo.